Yes, you can use your Smartphone to Browse the Maps in Offline modes and even search for the places and routes, explore the hidden places and all the even sync the Map with the Friends from anywhere. Greet to My readers and Thank you everyone for Showing awesome response to our post and making the frequent visit. Today one cannot imagine a sleek life without Smartphone. Lots of things inside your phone make it Smartphone, Maps applications like Google Map and Bing Maps are one of those heart beat Application for any Smartphone. 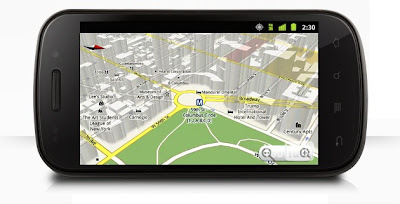 You use these Map applications to download the maps through internet browsing, finding the local business, like Places, hotels, Restaurants Banks ATMs and getting the shortest and smooth way to your destination. What if you have to visit somewhere where your internet connection is not working or somewhere out of Network coverage area? It’s a partial myth that you can’t use the Map applications without Internet connection. Why partial, because you cannot use it completely without Internet. What I mean to say is, all these map application browse the data from the Map server and keep it Downloads to your Application’s local data storage. These data are automatically updated with more and more browsing, and next time when you visit the same place, it bring the data on your map directly from your local cache. You can browse these data anytime until you clear up the local data of your application. But you can’t make any searches in these data and can’t even find the route even if your complete map of cities is in your cache. Before going to any new places, you can use these maps to see the places offline but you can ask for anything from it. But today I’m going to tell you how you can remove these limitations in your Smartphone. Offline Map browsing can be possible with all those features in a Application called Stay. Stay is an offline Map data which work online as well as offline too. 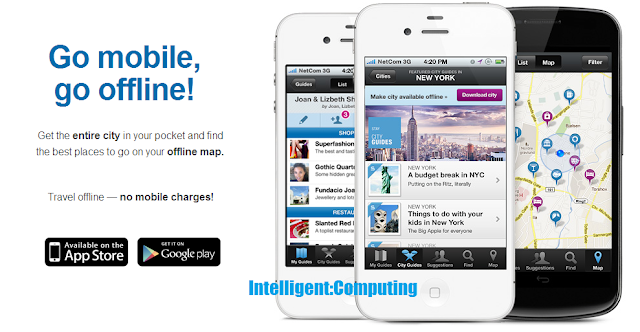 This Map application is available for Smart OSes like Android and iOS. That means you can use your Android Smartphone and Tablets, iPhone, iPad, iPhod touch etc. This site Stay dot com is official Developer site for the Map, these having 120+ cities Maps around the world. You don’t have to worry about the Wi-Fi or GPRS connection every time. As I already mentioned, your limitation is omitted with this application, Now you can Go to any city Country and searching the things you want and that too offline, you only need to do some homework before getting offline. This Map Application Works without Internet connection but all you have to do it, download the city data you are about to visit before getting offline. It will save it to its local database and you can use the intelligent search for all the things you want from the downloaded maps. Not only this, suppose you are about to visit any place of your friend and family. This device can be use to sync the Maps from both the friends device, that mean, if your friend is in New York he must be having all the Map data in his device, you can Sync those data to your device and Run it offline. Another Feature of the application is you can not only look for the Hotels and Restaurants, but also you can book those straight from your phone. Even you can read the previous costumer’s feedback of those hotels/places before visiting. You can browse the more place than Map application listed, this is possible due to the check-ins of the people to different places, also you can check in and you can also make the check-ins of the place you like, this will even help other to find those places which are not even registered with Googlemaps. So here we discussed Stay and its loving and useful features. You can download this application from iTunes and Google Play. Try this app and share experience with us by commenting below. Also let us know if we miss any function.